A smoke alarm is a device that detects smoke and sounds an alarm to alert people nearby that there is a potential fire. All smoke alarms are pretty much similar in their function, but may vary slightly by manufacturer. Because smoke rises, alarms should be mounted on the ceiling. To avoid the nuisance of false alarms, we will not be installing any alarms in the kitchen. We will not be installing an alarm in the bathroom since moisture can set off a false alarm, or cause damage to the alarm. To increase the chances of waking sleeping occupants, we will install one smoke alarm in every bedroom and in the hall ways as needed. 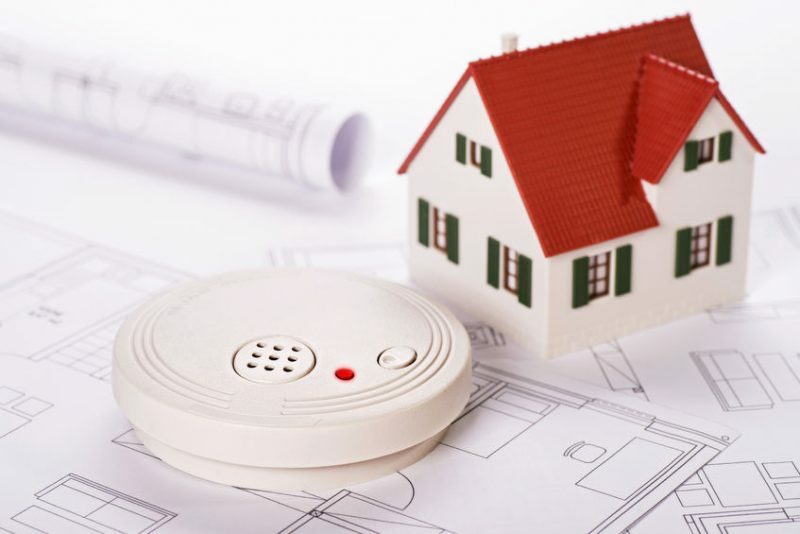 The smoke alarms have a 9 volt battery, which should be tested at least once a month. You can test the alarm by pressing the test button in the front. This will sound an alarm which lets you know that it is functioning properly. The alarm will stop as soon as you release the button. If the battery is low, the alarm will begin to chirp at intervals, which indicates that the battery must be replaced. Should the battery run out, the smoke alarm will become inactive. The batteries should be replaced once a year. Pick a certain day out of the year to replace your batteries. Such as New Years Day, a birthday, or daylight saving time, this will help ensure that you will not forget. It is necessary to replace all your batteries at the same time to insure appropriate protection. Rechargeable batteries should never be used in smoke Alarms, since most rechargeable batteries have a short life between charges. The battery may transition from “charge” to “dead” so quickly, the low battery warning from the alarm is either very brief, or may not occur at all. Never remove a battery from the smoke alarm without replacing it with a new one. Alarms with missing batteries will not function. Should you have any questions, please contact the Fire Prevention Officer at 520-421-8777.